It is also possible to travel to Europe on a budget. You don’t need to break the bank or stop yourself from doing any fun activities while traveling in Europe. There are many most competitive holiday destinations in Europe where you can make your best affordable vacations whether solo or in a group. 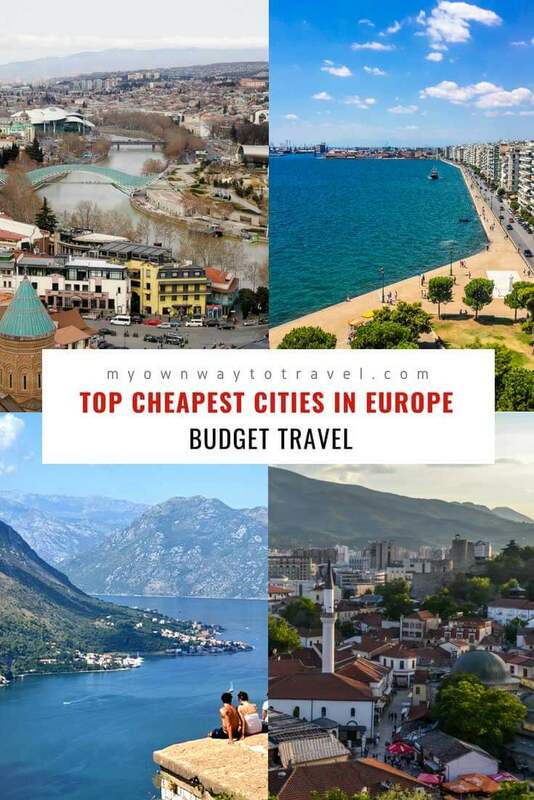 Here the listed top cheapest cities in Europe to visit on a budget. 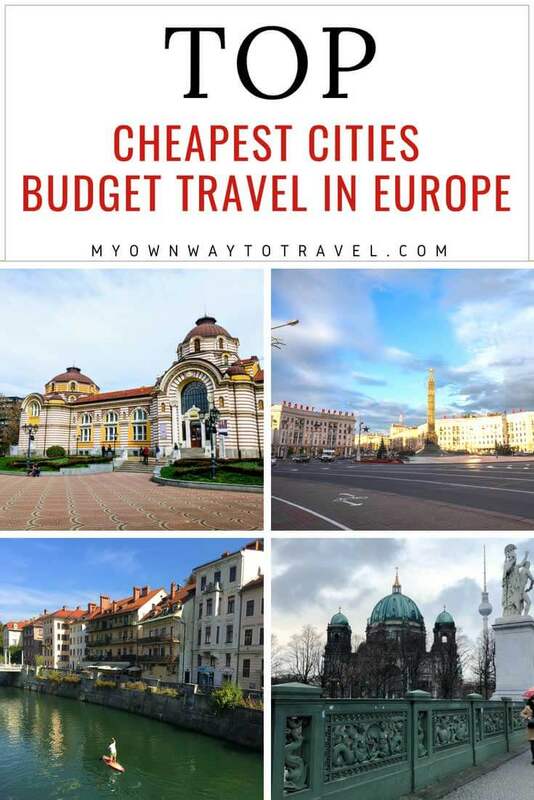 You’ll get a complete idea about many popular and offbeat affordable European destinations as well as tips and guidelines to enjoy budget travel in Europe. To make your dream tour in Europe, many travel bloggers have shared their travel experiences. They preferred to write about their favorite budget-friendly cities to visit in Europe. It’ll help you to know all about cheap accommodations, local food and restaurants, free walking tours, easy transportations and sightseeing attractions in Europe. Are you planning to visit Europe without spending much from your pocket? If yes, then don’t think twice, this post is just for you. 1 Click To Save Top Cheapest Cities in Europe On Pinterest Board! Warsaw is a very well kept secret in the center of Europe! 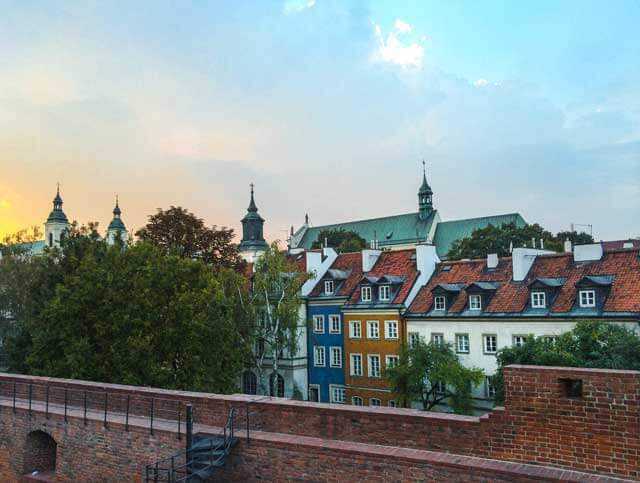 The capital of Poland is heaven for travelers of all types: it filled with history, museums, parks and all sorts of attractions you could look for, plus a growing cultural and culinary scene for all tastes. With all this into consideration, and adding the fact that Poland is one of the fastest developing economies in Europe, you might be surprised to know that Warsaw is incredibly one of the cheap holiday destinations for visitors, especially when compared to most Western-European countries. Even though Warsaw is still not a huge tourist hub in the continent (even in the country, it’s still surpassed by Krakow), it is very well prepared to receive tourists, and there is plenty of choice for everyone. If you have a tight budget, you’ll be happy know you can get a place to sleep in a hostel for less than 10$, even during the high season. If you are searching for something more comfortable, there are plenty of options, and you can also find a spacious double room in a hotel in the city center for less than 50$. It is not only accommodation that is affordable, but food and transportation inside the city are also very budget-friendly. To add, many of the city’s best attractions are free! The Old Town, the landmark of the city and an area filled with history and beautiful architecture, is free to visit, and a pleasant area to spend a few hours (or even days!). You might like to take a walk in the Vistula river bank or visit one of the city’s amazing parks; the Łazienki Królewskie is one of our absolute favorites in the world! 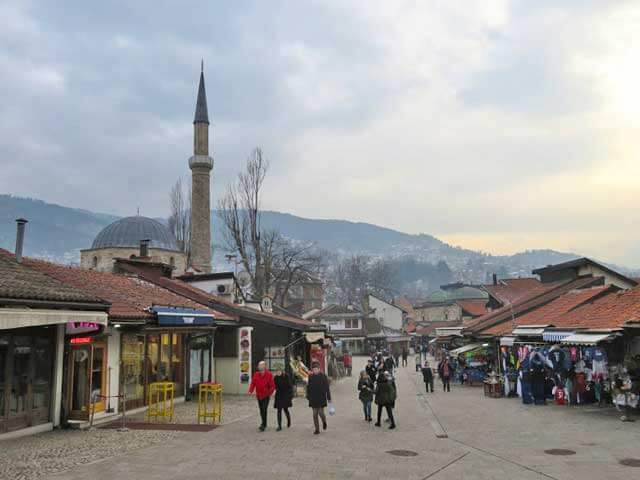 Sarajevo remains my favorite city, and one of the reasons is that it is still one of the cheapest cities in Europe to visit. One of the best things to do in Sarajevo is merely wandering around which is free. However, even if I get tired of all the walking, I don’t need to worry about my budget if I go for a tea in one of the cozy cafés. No matter if it is right in the heart of the old town or up in the hills with a beautiful view over the city, I never pay more than 1 or 2 euros. Tourism is still developing, and this keeps prices low. The interesting museums about Sarajevo’s history and the civil war all ask just a small entrance fee. Restaurants serve enormous portions for little money. Accommodation is very cheap for European standards. Most things can explore on foot, and therefore you don’t need an expensive taxi’s. In Sarajevo, you pay almost nothing, but get a lot in return. The mountains of this multicultural city are just a stone’s throw away. There is the old town with its remnants of the Ottoman time, the beautiful architecture from the Austro-Hungarian empire and the sober flats during Tito’s communist rule. Even though some traces of the war are still there, it is now one of the safest cities in Europe and a symbol of hope and reconciliation. Much like most of central and eastern Europe, Latvia is a considerably more affordable tourist destination than places in the west. Things are no different for the nation’s cool capital, Riga. Exploring this calm and scenic city is an excellent option for those looking to make their money go further. Sightseeing around Riga involves many city landmarks, so there’s no need to worry about entrance fees. Sights like the House of the Blackheads, the Three Brothers, and the Livu Square are all able to be admired as you please. Then there’s the KGB Museum which has just a voluntary donation for entry. 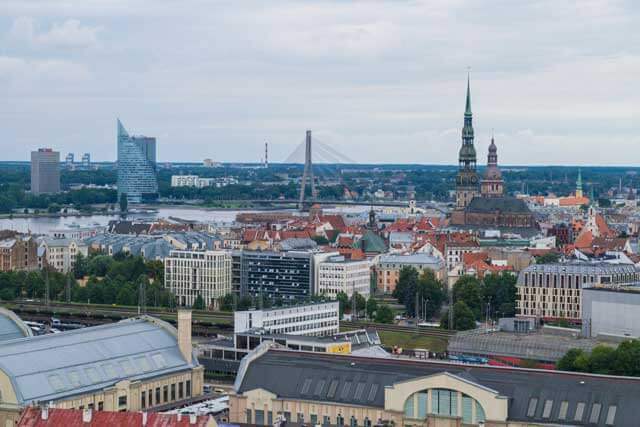 If you’re after a view across Riga’s beautiful cityscape, a cheaper alternative to the St. Peter’s Church tower is the superb view from the Riga Academy of Sciences. Food in Latvia, in general, isn’t costly compared to western Europe but head to any of the Lido Cafeteria chains for exceptional value. These cafeteria-style establishments are a relic of the past and provide cheap, healthy and filling meals. Here you can eat well for as little as 5€, making it a nice change from ramen. With regards to accommodation, Riga has a pretty big hostel scene so finding cheap dorm rooms shouldn’t be a challenge. Dorm beds can be as low as 10€, but private rooms will cost a fair bit more. Oddly, many of the hostels enjoy the best location of any accommodation in the city, deep in the heart of the Old Town. The old town and city center of Riga is a comfortable place to get about on foot, but public transport is also extensive and quite affordable. If you buy a yellow ticket in advance, it’s just 1.15€ per trip, with discounts for 10 or more tours. Bulgaria’s capital city, Sofia, is a small and laid-back city that rarely features highly on traveler’s itineraries. However, that’s also what’s great about Sofia: it’s a very unassuming city, and you’re not quite sure what to expect when you get there. Let your guard down, and open yourself up, though, and you might fall in love with it. Sofia has several key attractions, enough to keep you occupied for a weekend break. Many of these are religious sites, like the St. Alexander Nevski Cathedral, Boyana Church, and St. Sofia Church. 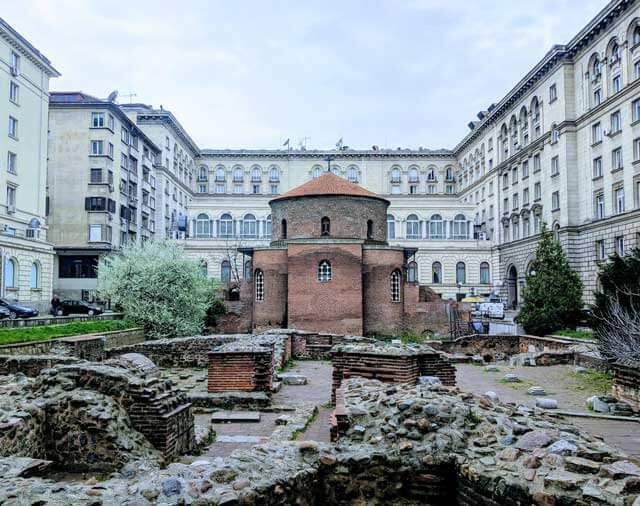 Other historical attractions include the St. George Rotunda, which is the oldest building in modern Sofia, the Serdica Amphitheatre, and the Roman ruins that surround the Serdika II metro stop. It’s also a fantastic city for the health-conscious, with excellent walking and skiing in the nearby mountains and free natural mineral water springs to drink from throughout the city center. Sofia is also a reasonably affordable city to visit. A lunchtime menu usually costs somewhere between 9 and 14 leva (USD$5.40-8.50). Coffee at a coffee shop typically costs 1-3 leva (USD$0.60-$2), but many locals also buy it from vending machines and convenience stores for around .5 leva. Beer is also very affordable and usually costs between 1 and 3 leva (less than USD$2). The most significant cost, if you’re coming short term, will be accommodation. Hotel accommodation, surprisingly, starts at around €50 per night but can cost at least double that. Airbnb is usually cheaper than the hotels, so be sure to book through Airbnb instead. Although tourists rarely stray from the capitals of the three Baltic states, all of them remain very affordable destinations, especially Vilnius. An eight-hour bus ride from Warsaw starts from as little as 9 euros, while a ticket for the 5-hour trip from Riga can be 5 euros during a sale. Since the bus terminal and most of the city’s attractions are within or close to the Old Town, a healthy person can get around by walking. Hostels are everywhere, and the market hall (Hales Turgus) is the best place to eat local on a shoestring budget. However, even hearty restaurant meals rarely exceed 10 euros a head. What’s worth checking out? Ancient Catholic and Orthodox churches are all over the Old Town, and it costs nothing to look inside them. Behind the Cathedral Square, you can climb Gediminas’ Tower (when it reopens) for a splendid panorama of the city. The bohemian Uzupis district declared its independence in 1997 and the quirky nature shows in the street art and even its constitution. Every April Fool’s Day, you can get your passport stamped when you enter the district. To learn more about the struggle to regain Lithuania’s independence, take the trolley to the TV Tower west of the Old Town and see the exhibition on the January events of 1991. If you do splash out for a day trip, make it a visit to the Trakai island castle. Don’t forget to try a kibine (mutton pasty) from one of the village restaurants while you’re there – it’s a specialty of the region. The bus and train connections are frequent and cost 2 euros each way. Bratislava is an interesting mix of contrasts; Old Town vs. 19th-century Soviet architecture; Eastern Europe vs. Western Europe. It’s one of Europe’s smallest capital cities, with a population of around 400,000. As such, there are not as many things to see and do as there is in the bigger, more well-known cities in Europe, but the city is beautiful and full of history, the locals are friendly, and the beer (well most things really) is cheap! With dorm rooms starting at €10 a night, and private rooms with shared bathroom starting from €26, as a solo traveler this is one of the most budget-friendly destinations I’ve visited in Europe. €16 got me a 6-bed dorm room right on the corner of Old Town, and since I was traveling in the off-season, I had the whole room to myself! Not bad for €16! For €6 I had a full lunch with a pint of beer and change to spare. At a pub or restaurant, the price of a pint of beer averages at €2. Pick up a pack of the C shaped Bratislava rolls for a few euros, and you have breakfast and snacks for the day sorted. Bratislava rolls are a local pastry filled with poppy seeds or walnuts, with a history going back to the 16th century. For sightseeing around the city, the average cost for museum entrance is just €4. Moreover, don’t forget to do one of the free walking tours (and leave a tip!) not only to learn more about this beautiful city, but also to get a local’s tips on where to eat and shop, and where to avoid. The central railway station is within walking distance of the Old Town, while the bus from the airport to the city is just €0.90. 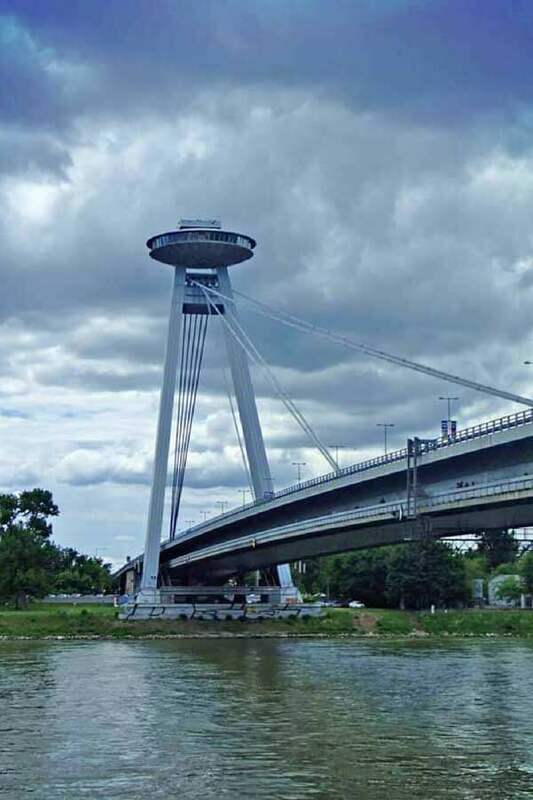 Moreover, with Vienna just an hour away by train, it’s possible to see the more expensive capital on day trips, while enjoying the lower prices that Bratislava has to offer. Estonia´s capital Tallinn should be on your bucket list as a cheap city in Europe. It is probably one of the most affordable capitals in Europe especially compared to other European capitals which are generally popular amongst tourists. While Tallinn isn’t a real gem anymore, it is still less crowded than most other cities in Europe. Also, prices have gone up the last few years (Estonian inflation rate is one of the highest in the EU) it is still comparatively affordable and besides…there is a lot to see and do in Tallinn. As a plus, many of the favorite activities are free or just cost very little money (with the Tallinn Card you can save even more), e.g., visiting Alexander Nevsky Cathedral, Kohtuotsa, walking the Town Wall or discovering the colorful Market Square. 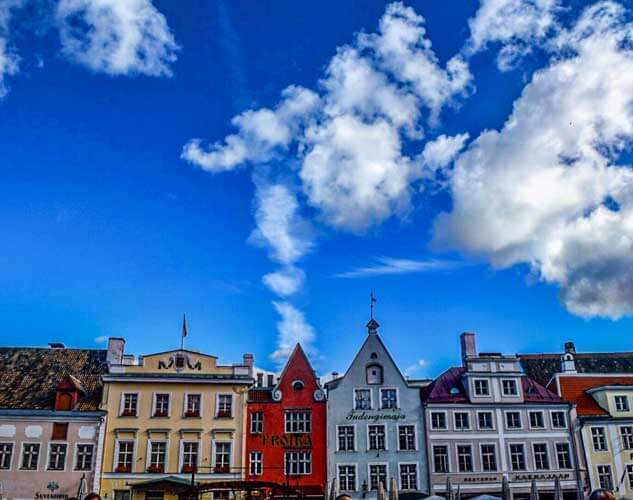 With an affordable ticket for a hop-on and hop-off bus (also included in the Tallinn Card), you can even get outside the city center and enjoy a view from above – when getting on top of the Tallinn Tower. For affordable snacks and food, you can buy your stuff at the supermarket or dine in one of the numerous restaurants in the city center and relax in one of the quite affordable hotels. Are you looking for a budget-friendly sea-side holiday? 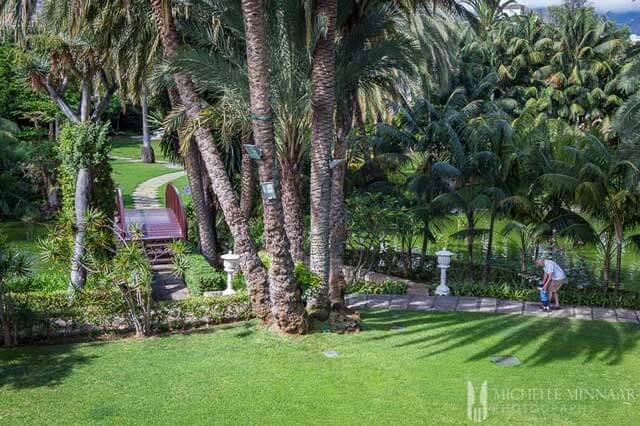 The island of Tenerife in Spain has a lot to offer when it comes to value for money, making it one of the cheaper destinations for a fantastic holiday! No need to opt for the five-star all-inclusive hotels and dine at excellent restaurants. You can enjoy the same premium produce at low prices, sitting at local cafés with stunning beachside views. Opt for the Menu del Dia (3-course meal including a drink) that generally goes as low as for 8 euros, or just under 7 pounds! Besides, the island is packed with fantastic local seafood and produce that is quite hard to come by on the continent. You should want to eat locally! To register just how cheap Tenerife is, why don’t you take a stroll in a local supermarket? Compared to the UK stores, you’ll find that food is much less expensive. Thanks to the islands’ warm climate, the island is rich in exotic fruit and tropical vegetables, which you’ll be able to purchase with a snap of a finger. Regarding accommodation, you don’t necessarily have to go to the most expensive hotel! I’ve previously stayed at a charming Sandos San Blas Nature Resort and Golf. It is an affordable resort with Spanish-villa style accommodation. You’ll stay within budget while having access to a beautiful nature reserve. Another reason why Tenerife is so cheap is that there are so many free things and activities you can take part. For example, you can make a hike in the Mount Teide National Park (A World Heritage Site), visit the 1,000-year-old Drago tree, discover the lost world of Masca as well as relax on any of Tenerife’s beaches. You might even find some dolphins and whales near the coast. Lastly, you can take part in one of Tenerife’s carnivals – which by the way are not for the faint-hearted. All in all, Tenerife is one of the cheapest destinations that you need to put on your list of places to visit! Many visitors to the Czech Republic seldom stray from the capital city of Prague. However, those looking for a more budget-friendly alternative to Prague should consider visiting the country’s second largest city, Brno. 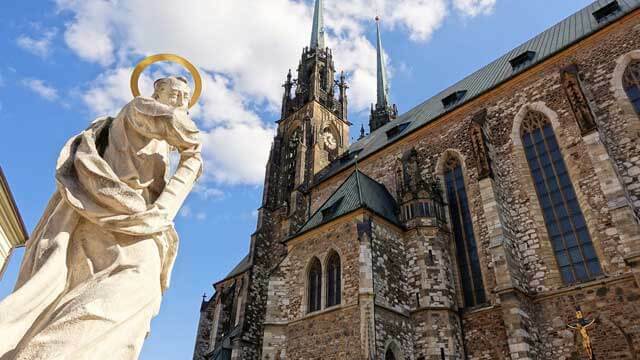 Located in the southeastern portion of the Czech Republic known as Moravia, Brno is less crowded and much less expensive than the famous tourist city of Prague, but it is still incredibly beautiful and full of things to do. A sausage dinner for two from a street vendor followed by gelato will cost you less than $10 US (around 240 Czech Koruna). Even luxury lodging costs roughly what you would pay for budget accommodations in other parts of Europe or the United States. While the city may be cheapest to visit, that is just one of several reasons to visit Brno, Czech Republic. In the heart of Brno, there is a daily vegetable market where local farmers set up and sell their produce. It’s a fun and lively experience to walk through and enjoy the atmosphere. Travelers on a budget can roam the charming cobblestone streets of Brno’s Old Town and tour beautiful churches for free. A must-see church in Brno is the Cathedral of St. Peter and Paul. Admission is free, and for a minimal charge, you can also visit the spiraling towers and crypt inside the church. If crypts don’t wholly creep you out, pay a few korunas (about $3 US) and tour the Capuchin Crypt, where you will find dozens of well-preserved mummies of former nobility and monks. Nature lovers will love been to Brno. Moravia is known for its picturesque rolling hills of green and yellow fields. Wine vineyards also blanket the countryside just outside the city making for a relaxing and inexpensive day trip. Not only is Tbilisi one of the most vibrant and hippest cities to visit in Europe right now, but it’s also one of the most affordable. Located in the heart of the Caucasus, value for money is one of the reasons why Tbilisi is becoming more and more popular among tourists, including backpackers. A bed in a Tbilisi hostel will set you back as little as 8 USD per night. For a little bit extra, you can find a room in a family-run guesthouse, which comes with the added perks of Georgian hospitality and home cooking. While in Tbilisi, there are plenty of free activities to keep you occupied, including Narikala Fortress, the Dezerter Bazaar, the Dry Bridge Market, the old town, parks and churches to name just a few. Many museums are free or have a nominal cover charge. At last count, there were at least five different free walking tours of Tbilisi. For excellent views of the city, take a ride on one of Tbilisi’s cable cars. Tickets cost just 1 Lari (40 US Cents). Bus and metro fares are a flat 50 Tetris (20 US Cents), and beyond Tbilisi, many day trips you can do using public transport. Also, then there’s the food. Georgian fare is something else, and there are plenty of cheap options to be found in Tbilisi, especially in the local-style taverns. A plate of khinkali dumplings will cost you a few Lari. Puri bread purchased from small bakeries is an economical snack; a big baton of freshly-baked bread expenses a few Tetris. Locally produced Georgian wine is also incredibly inexpensive (and delicious), and beer is reasonably priced. Getting to Tbilisi used to be the most significant expense for travelers, but with Wizz Air and flydubai budget fares to Georgia’s second-biggest city, Kutaisi, it’s now more affordable than ever. To top it off, citizens from 94 countries can visit Georgia for up to 360 days without a visa. Just remember: One of the reasons Tbilisi is so affordable for tourists is because local wages are generally low. Georgia experienced a significant economic crisis in the 1990s, and poverty is still an issue. Although it’s not compulsory, tipping is appreciated. One of the cheap holiday destinations Istanbul in Europe is devastatingly unique. As the product of the influence of several powerful empires, time a significant stop on one of the globe’s most important historical trade routes, and thousands of years of history, there is nowhere like it in the world. A long and complicated history, delicious breakfasts, colorful markets, great shopping, beautiful architecture, and friendly people–all of these alone would add up to a city that no traveler would want to miss out on and when you add in that it is one of the least expensive cities in Europe to visit. It’s easy to see why Istanbul is so famous. Istanbul has always been affordable, but the Turkish lira’s struggles as a currency in the last several months means that the city is now more of a bargain than ever: a delicious, traditional Turkish breakfast can have for around $6 (unlimited tea included), a 15-minute cab ride runs about $5, and entrance to many of Istanbul’s main tourist attractions like the Blue Mosque and Hagia Sophia is either free or minimal. 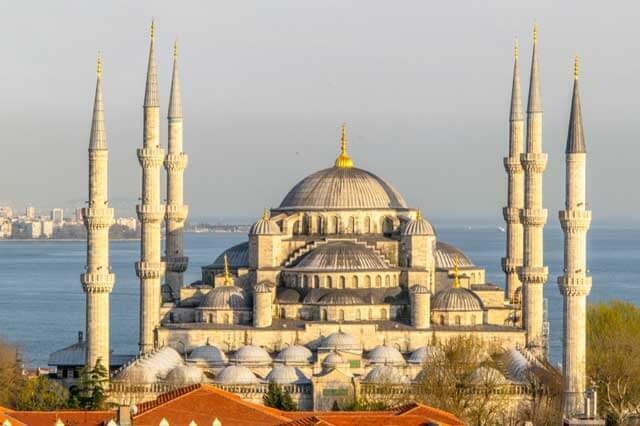 Like in most inexpensive cities around the world, it’s possible to spend luxuriously in Istanbul, but it is far from a requirement to do so to enjoy the best of the city. An entire afternoon could easily spend at the Grand Bazaar and the Spice Market for free (or for whatever the cost is of any food or affordable trinkets you decide to buy). Bargain-hunting travelers will find themselves enchanted by both Istanbul’s prices and by the city itself. Located in somewhat of a meeting point between Europe, Asia, and Africa, Palermo has obtained its multicultural personality from each of these continents. The small city of Palermo in Italy located on the shores of the Mediterranean and one of the cheapest and the best place to visit in Europe on your next trip. Walking down its streets, you will have trouble trying to pinpoint all the different civilizations that have shaped it: Renaissance churches, Islamic domes, Norman castles, Byzantine tiling…they all have a role in Palermo’s design. 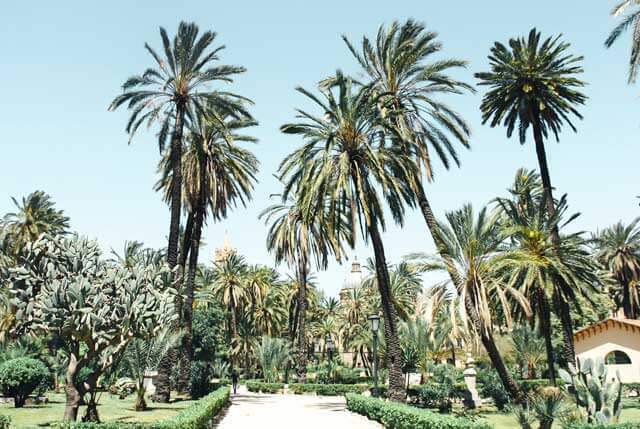 Palermo is a city of colors and fragrances: lush green palm trees rise against deep turquoise skies, while the smell of delicious Italian pastries invades the narrow cobblestone streets. More than 1 million people live in Palermo, but at siesta time the city is deserted, and the rhythm of life resembles that of a small town. Don’t be fooled by this though: there is plenty to do in Sicily’s capital! Exploring the castles and churches is, of course, the main attraction: you could spend days just staring at the many details of these beautiful structures. The Teatro Massimo is a local’s favorite: make some time to try to catch a play in Europe’s second largest opera theatre. Fun fact: the final scene of The Godfather trilogy was filmed right here on the front steps. As far as neighborhoods, each of Palermo’s has its personality. Leave maps aside and immerse yourself in their streets: you are bound to find a favorite by the end of your visit. My personal favorite? La Kalsa, Palermo’s oldest and heavily bombarded during WW2, which gives it a gritty, rustic ambiance which I love. If you visit during the summer, beware temperatures are high. However, you can always escape to Palermo’s closest beach, the paradisiac Mondello, just a short bus rides away. Moreover, do not forget about all the yummy food! Palermo is a city well-known for its excellent street food. Venture into one of the city markets to find your next tasty treat, which you will be able to get for just a couple of euros. Just make sure you do not count the calories. If you are looking for a fun, mouthwatering, affordable and stimulating destination for your next trip in Europe, look no further than Palermo! Romania is becoming one of the popular European destinations for backpackers. And there are plenty of reasons for this, including its delicious food, friendly people, and low prices. However, it’s not the capital city, Bucharest, that gets all the fame, but the smaller cities, including Brasov. 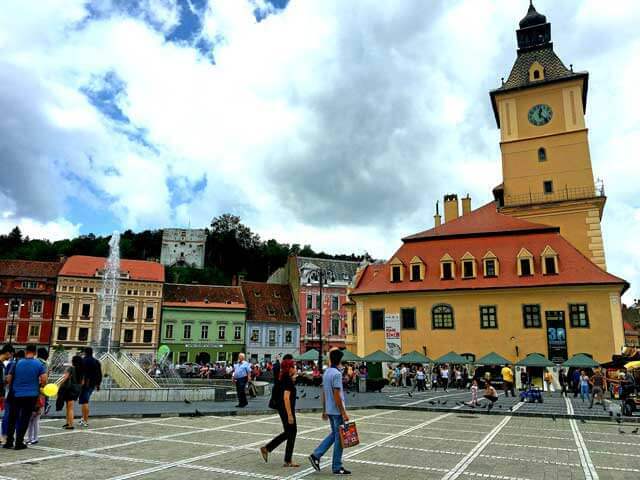 Brasov is located at a 2 hour and a half drive from Bucharest, in the region known as Transylvania. And although most people will relate Transylvania with Dracula and vampires, Brasov is a charming and quaint city. Being surrounded by hills and with mountains in sight, it gives a taste of fresh air compared to the hectic and crowded Bucharest. The best way to get to know the city is definitely to wander around the center, where the medieval buildings mingle with modern cafes and restaurants. 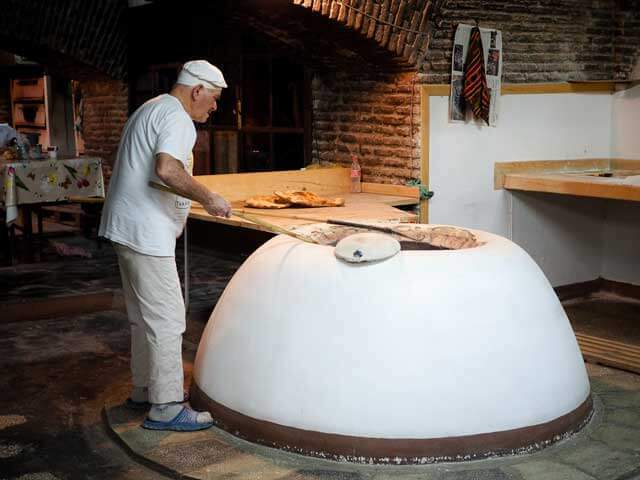 There is an incredible variety of food, from restaurants offering traditional Romanian meals to ones luring travelers with international dishes. Also, while you are in the center of the town, you can enjoy a taste of gothic architecture, at the Black Church which almost burned in 1689. You can end the day with a short hike (around one hour) on the Tampa Hill, to admire the sunset and the city views. As with any city, prices vary, but you can find good meals at around 10 euros per person and accommodation with even 20 euros per night. Ostrava inarguably belongs to one of the cheapest cities in Europe, and in the Czech Republic too. It helps it’s still entirely undiscovered, as tourists usually wholly miss it in favor of Prague. Ostrava is located in the northeast of the country, in a region called Silesia, near the Polish border. The city with a rich history of mining these days finding its new identity through modern makeovers of its former mines and processing plants. Ostrava is fun and quirky, and there’s no shortage of cool cafés and hipster bistros. Even though for locals some of these places feel a little too pricey as compared to the past, for a traveler it’s still a bargain. A cup of cappuccino is just about $2. A hearty meal can cost around $8 and even much less if you opt for going to a pub instead of a trendy bistro. For a half-liter of draft Pilsner, you’ll pay around $2. The Czech Republic is a beer lover’s paradise, after all. Ostrava is also home to Colours of Ostrava, the largest multi-genre music festival in Central Europe. Every July thousands of music fans flock the city to experience the unique festival atmosphere and music of all styles. You can easily find accommodation below $50 in Ostrava, and you don’t even have to turn to hostels. 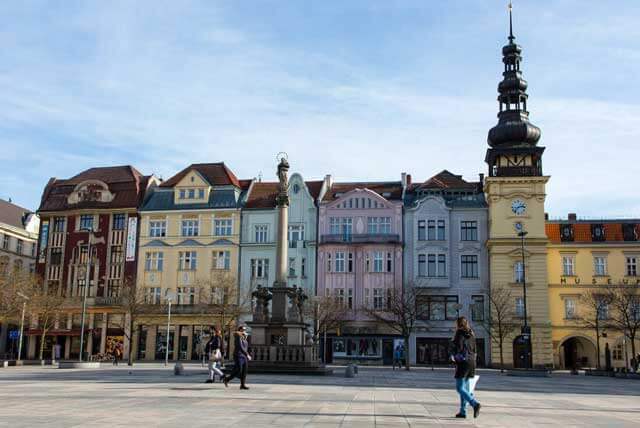 Ostrava is easily accessible by a direct train from Prague – it takes about 3 hours. Berlin is a raw, vibrant city where there’s always something going on. There is a lot of (street) art, history, culture, nightlife and so much more. It might be a surprise, but Berlin isn’t only a very cool destination, it’s also very affordable! Because it’s the capital city of Germany, many people assume it’s an expensive destination. However, it’s the perfect place for a budget traveler. 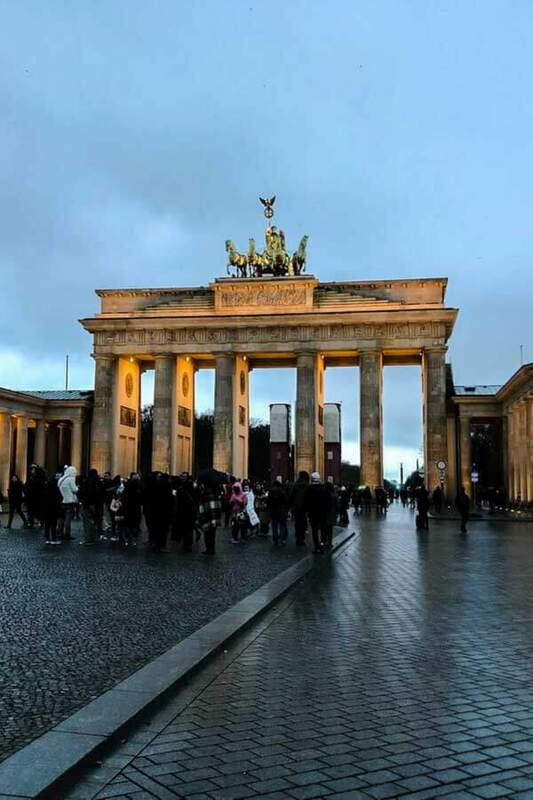 Berlin offers a lot of affordable or even wholly free activities, very affordable restaurants, bars, clubs, and accommodations. 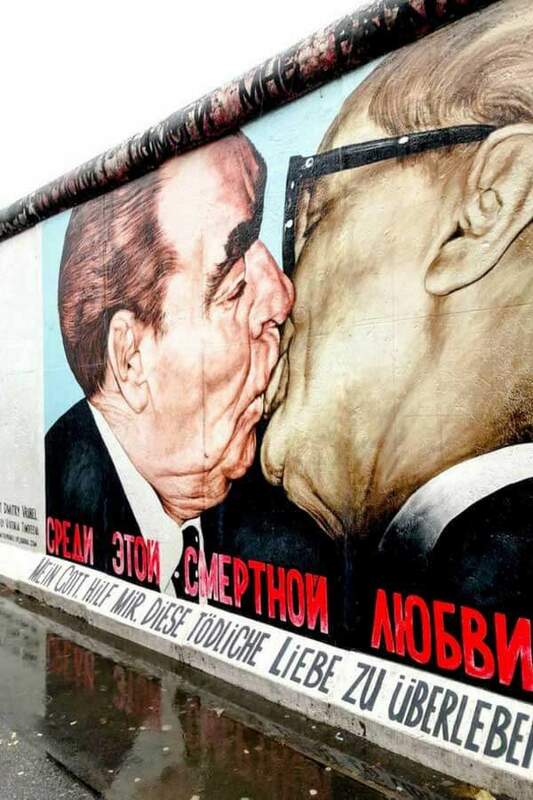 Some free things to do in Berlin are: visiting the remaining part of the Berlin Wall at the East Side Gallery, visiting Mauerpark on Sunday and enjoying the karaoke, exploring the Holocaust Memorial, the Brandenburg Gate, get a view over Berlin from the dome of the Reichstag building or relax at the gardens of Charlottenburg Palace. To name a few! Berlin is also perfect for budget foodies, as they have an extensive variety of cuisines and often you eat for just 10-15 euros per person. Some great, cheap restaurants in Berlin are the Burgermeister, Chutnify, Amber, Ban Ban Kitchen, Miyaki Sushi and Hamy Café. For cheap accommodation, I would recommend to check out Airbnb, as they offer accommodations in Berlin at convenient locations and for only a small price. Many hostels and hotels are there in Berlin that offer affordable rooms! Kotor is a small and charming town in Montenegro and has been attracting more and more tourists every year. It is one of the jewels of this country together with Sveti Stefan. Not only is Kotor visited and essential because of its cultural-heritage status, the Old Town, natural environment of the Bay of Kotor, several summer events but also because of friendly budget prices. Traveling to Balkans can be very cheap, taking into account you can get a good quality of things for the prices you pay. In this region aren’t any train connections, unfortunately, but you can travel by bus, which is the cheapest option. Some bus connections with Kotor is Dubrovnik (a ticket is around 20 euros + 1 euro per luggage), Sarajevo, Belgrade, and Skopje. Flying to Podgorica can be another option, but can be pricey, especially in peak season. If you want to, I recommend you to take a plane to Split or Dubrovnik, as the flights are much cheaper, then from Croatia to Kotor by bus. The town is small you can get a wide choice of places to eat and drink on a budget in Kotor. Try local cuisine in one of the restaurants, for example in Tanjga restaurant, where you will eat homemade food at reasonable prices. Traditional Balkan dish “ćevapi” (minced grilled meat bars) and salad for 4 euros only. Don’t miss “burek” (a pie filled with cheese, meat, apple or vegetable) at the local bakery for only 1 euro. 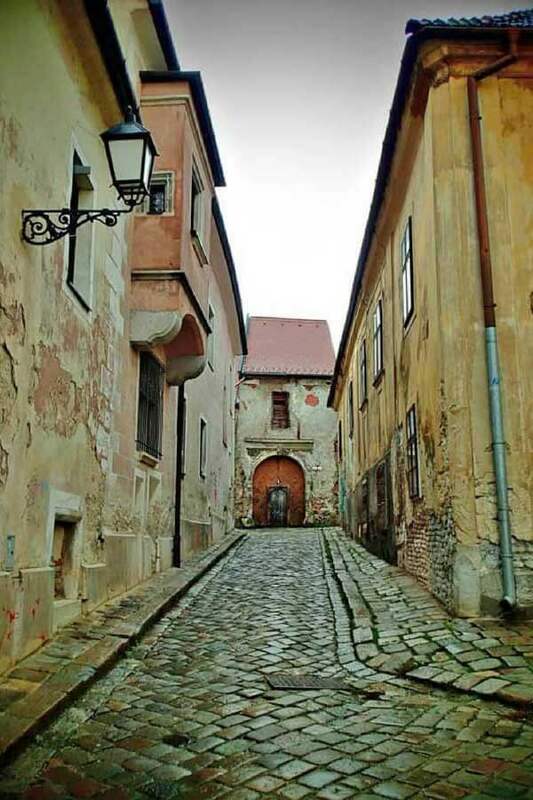 Explore the medieval architecture with narrow streets and squares. In the center of one of the squares, there is the Cathedral of Saint Tryphon (Sveti Tripun), also a symbol of the city. An exciting part of your entertainment can be Our Lady of Rocks – one of the best islands in the Bay of Kotor. On a sunny day climb the city walls of Kotor where you will be awarded the best viewpoints over the Bay of Kotor. 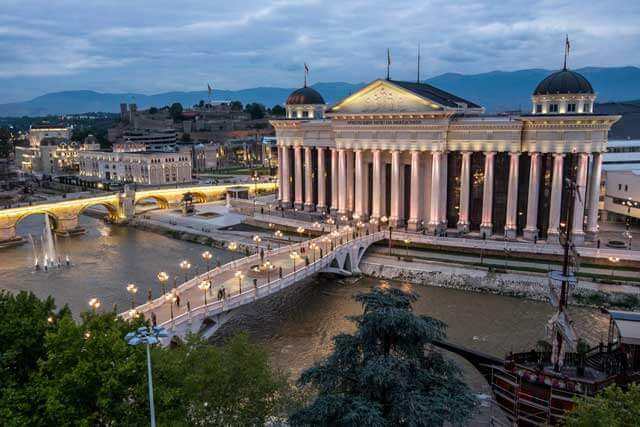 Not many think of Skopje as an excellent city break destination, but the capital of Macedonia is an exciting city with so much to offer. It is also one of the cheapest capitals in Europe where everything seems like a bargain! 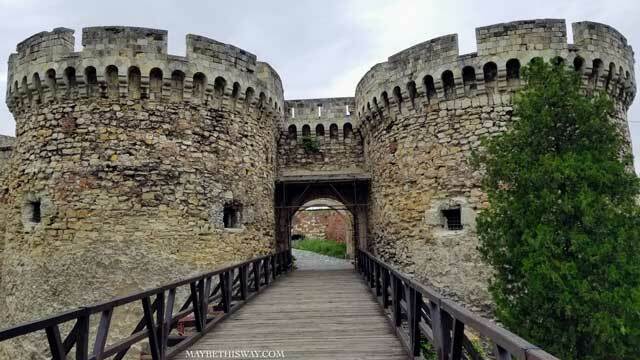 The best things to do in Skopje are for free: you can freely admire the crazy architecture (think of it as the Disneyland of the Balkans with so many new ancient-looking buildings and statues), go to the fortress to see the city from above or wander around the Old Bazaar – the biggest bazaar area in the Balkans. That’s also where you will find the restaurants serving local food and charming cafes, everything for more than a fair price (coffee for 1,50€? Yes, please!). Food in Macedonia is one of the best in the Balkans and can satisfy vegetarians too (a nice change from other countries around), there is no way you can go hungry in here! Skopje is also a perfect getaway to the nature with Mount Vodno or Matka Canyon only a short bus ride away. Moreover, again it’s cheap to get there. If you would like to take the cable car from the bus station to the top of Mount Vodno, it’s less than 2€, for the return trip! Also, the view from up there is breathtaking! Skopje can be a good starting point for travels around Macedonia, Kosovo or Serbia, with bus tickets being affordable. If you’re looking for a cheap yet best destination then Skopje, Macedonia is a place for you! Belarus started opening for tourists just a few years back with the introduction of free visas for 80+ countries. Due to the tourism development, there appeared hostels, shared guesthouses, Airbnb and other budget options just in the past five years. Let’s take Minsk as an example and the capital of Belarus. 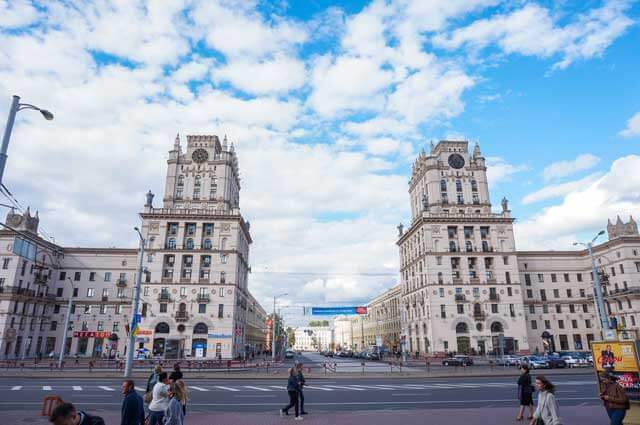 Although Minsk has been voted as one of the cheapest cities in the world for expats, the daily expense for traveling is higher than living there. Nowadays, you can find a good hostel in 8-10 USD range and an Airbnb room within 10-15 USD range. Food is relatively cheap in the whole Eastern Europe region, especially if you are from the west. You can expect spending 1.5-3 USD per meal in Minsk in budget cafes. Minsk is a bicycle and pedestrian friendly city. Nevertheless, there is an excellent and affordable metro and bus connectivity in the city. Some tourist spots are public, while the entrance to museums and architectural monuments vary from 3 to 5 USD per sight, as a rule. Overall, you can visit Minsk in 20-30 USD per day. You can do it even cheaper, but it might impact the quality of your experience. There are many more destinations in Belarus beyond Minsk – forts, natural parks, smaller towns. This country is impressive in its way. Consider visiting if you are looking for a different tourist experience. 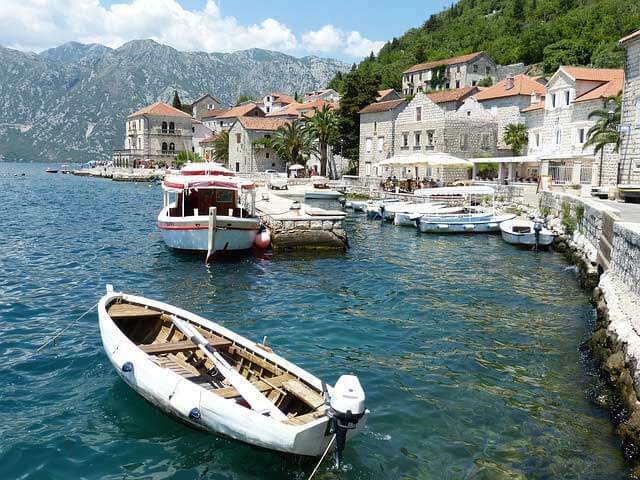 Croatia is still an undiscovered country for many travelers. The famous HBO TV show The Game of Thrones made some of its cities extremely popular, with hundreds of thousands of tourists visiting those spots. This consequently increased prices, especially in Dubrovnik and its surrounding islands. Zagreb was the last stop of our Croatian trip. Usually, as I have noticed, capital cities are quite expensive, but Zagreb was not. It was the cheapest of all those 10 cities, towns, and islands we have visited during a 23-day trip in the country. Eating out is quite affordable, both in the venues that serve local and international cuisine. 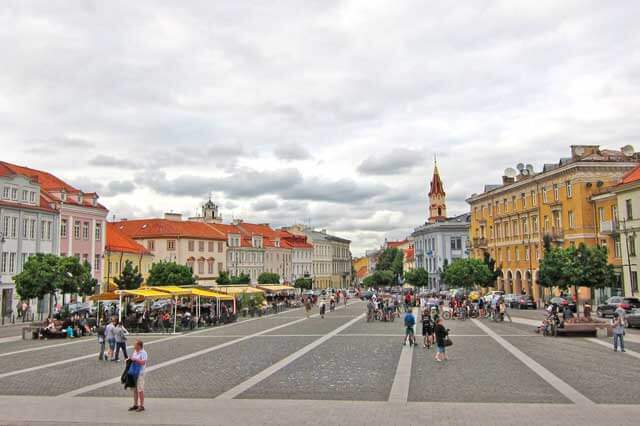 Stroll down its center full of exciting and colorful buildings, continue your way to Kaptol district and visit Dolac Market to buy local produce or to wander around. 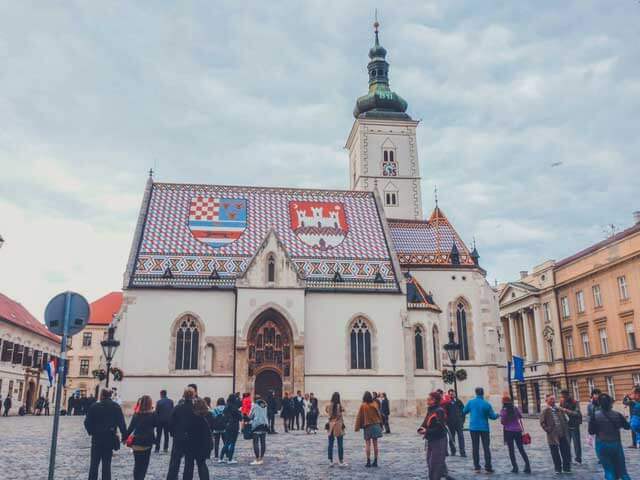 Most of the sights in Zagreb are free, making it a great budget-friendly destination. Entrance fee to the museums doesn’t cost too much either. I would highly recommend visiting The Museum of Broken Relationships for only 30 Kuna (around $5). Don’t forget to ride one of the shortest funiculars which take around 55 seconds from top to bottom, and admire the beautiful St. Mark Cathedral famous for its mosaic rooftop. Any Galician city would be an excellent option. In any case, today I am here to talk about Vigo. Located in the southwest of the region, in the Pontevedra province, this city with a strong industrial past and with a superb location next to the Atlantic Ocean; stands today as one of the most visited due to the tourism efforts it has experienced in recent years. On top of that, it is justs half an hour away from the Portuguese border, and it is an excellent spot to be based in case the North of Portugal, the uber-touristy city of Porto, its many fishermen villages and magnificent sandy beaches are on your radar. Modern, dynamic and always with a wide range of events for all tastes, in Vigo it is possible to eat like a king, sleep like a prince and celebrate like a Galician without breaking the bank / from 50€ per day and person. 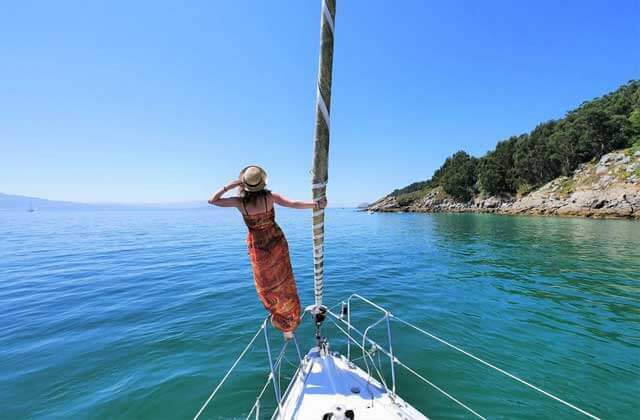 Moreover, a treasure when you take into consideration that Vigo is barely an hour of sailing away from one of the most paradisiacal landscapes of the Iberian Peninsula: The Cies Islands and its iconic Rodas beach named the best of the world by The Guardian a few years back. If you dare to visit it, have a look at the best things to do in Vigo. This city, its inhabitants, and surroundings will not disappoint you at all. Enjoy! One of our top recommendations for a cheap (but fantastic!) place to visit in Europe is Albania – especially the city of Kruja. It is located just 50 km from the capital city of Tirana and on the side of a mountain, so there are fabulous views all around. 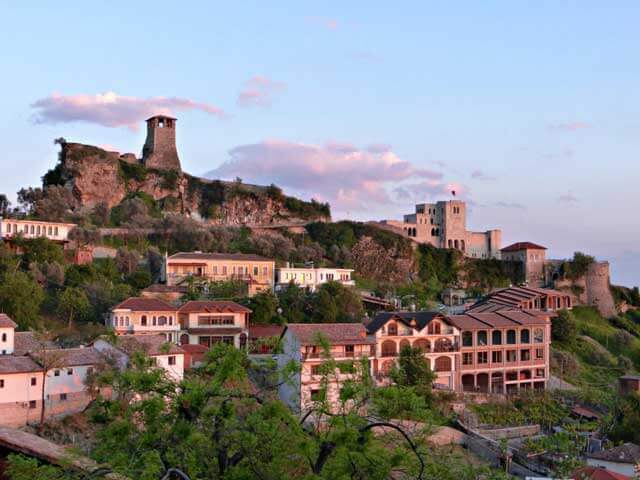 Kruja is easy to get to and has several things to do and see to learn about Albania’s history and culture. On a visit, we recommend starting at the castle where you can hike up to the watchtower for spectacular views. Inside the castle, you’ll also find the Skanderbeg Museum which is dedicated to Albania’s national hero and has an impressive weaponry collection. From there you can get a glimpse into what life was like in a Northern Albania home at the Ethnographic Museum. For a little shopping, you can walk from the castle down the hill to stroll through the beautiful Ottoman bazaar made up of quaint wooden market buildings along cobblestone lanes. You’ll find local crafts, souvenirs, and a few restaurants that serve delicious food at very reasonable prices. Alternatively, stop by the nearby gelataria for a sweet treat on a hot day. For accommodations we’d highly recommend the Hotel Panorama, not only for the very reasonable prices but also offers a fantastic view especially if you book a room with a balcony. These clean and nicely decorated rooms overlook the castle, bazaar and up to the mountains. Moreover, offered both stunning views at sunrise and sunset when the mountainside bathed in orange to pink hues. I’ve been to many places and many countries, but there’s one city I can call one of the cheapest cities in Europe: Odessa in Ukraine. Also, what’s even better, Odessa is next to the sea, the Black Sea. The weather is good, people are relaxed, and moreover, the city is beautiful! The architecture is nice. Buildings look more like Latin buildings (like in Rome or Paris), rather than the Soviet ones (like in Moscow). The food is excellent and healthy, like in Greece or Italy. Mediterranean style! Oh and course, there are many beautiful things to see in Odessa. The most popular spot is the Potemkin stairs. Something fun about those stairs! When you look from the bottom, you only see stairs (and not the landings!). However, from the top, you look at the landings (and not the stairs!). It’s an optical illusion! The cable car of Odessa is a right way to watch the city from above! Oh and there’s a place you can’t miss, the Odessa catacombs, the most massive catacombs in the world! Many members of the resistance used to live there and hide in those vast catacombs during World War II, not going out for months! Those catacombs are famous all over ex-USSR! Every New Year’s Eve, there’s a party there. Last but not least, if you’re a party animal, you have to go to Arcadia! An area along the beach with many clubs, bars, strip clubs, and many Russian and Ukrainian girls! You can also spend a day just relaxing, walking around, having ice cream, getting a tan. To conclude, I have to talk about how cheap Odessa is. Do you want to take the bus? It’s 5 hryvnias (0.15€). Do you want to take the cable car? It’s just 40 hryvnias (1.30€). Going to the airport, 30 minutes away from the city center? You’ll pay 75 hryvnias (2.50€). Valletta, Malta’s gleaming capital city, is a warren of narrow streets peppered with domes, spires, and arches. The steeply rolling streets are lined with homes adorned with colorful balconies jutting out over the pavements. Fortresses, churches, statues and beautiful buildings, as well as one of nature’s most picturesque harbors, means this under-rated and very affordable city should be high on any wanderluster’s bucket list. Valletta, a UNESCO World Heritage Site, covers an area of less than one square kilometer. It’s one of Europe’s smallest capitals, and its grid system makes it a comfortable place to get around on foot. The city steeped in history and its mix of this, together with its unique culture, has seen Valletta named European Capital of Culture for 2018. Pay a visit St John’s Co-Cathedral, a reasonably plain structure from the outside, which will dazzle as you enter and take in its gold-clad interior. The Grandmasters’ Palace and other Knights Templar buildings will take you back in time to the crusades of Europe. Take time out in the shady Upper Barrakka Gardens for panoramic vistas across one of the world’s largest, deepest natural harbors. Valletta isn’t all about the history; there’s an excellent food scene too. 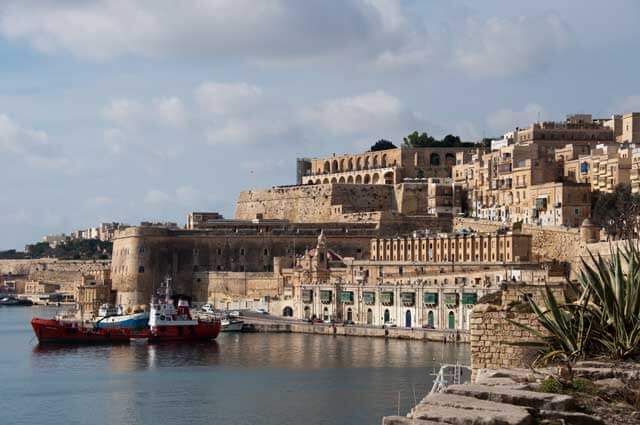 Head down to Valletta Waterfront which sits just below the city’s fortifications. You’ll find an old wharf which has been beautifully renovated and is home to some vibrant bars and restaurants. The dining options in Valletta are excellent and varied, and there’s a buzzing pavement café culture too. Maltese food is an eclectic mix of Mediterranean cooking with influences from the various civilizations that occupied the islands over the centuries. 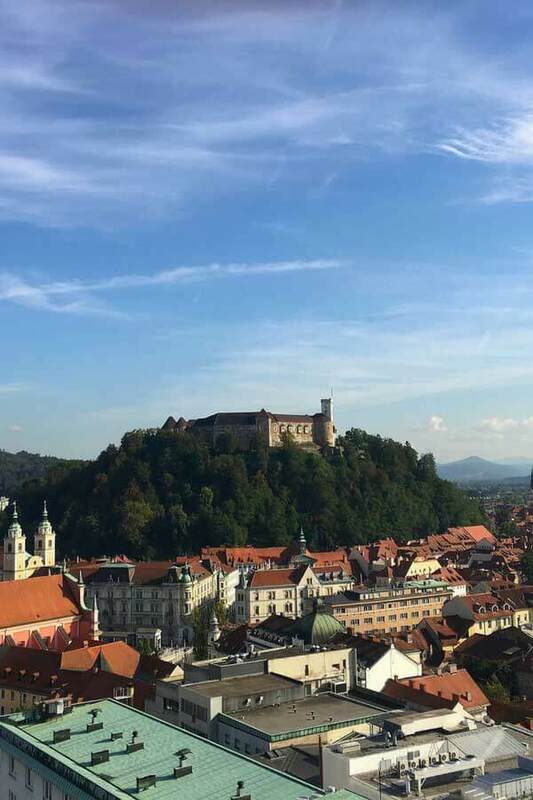 Ljubljana is one of the best European capitals and a great place to visit, especially for travelers on a budget. This small city, capital of Slovenia, is packed with exciting museums; it is architectonically gorgeous; there are many parks and a wealth of good bars and restaurants where for a real steal it is possible to have a delicious meal. The city is lively, yet laid back. Ljubljana city center is completely closed to traffic, save for public transportation, so it is delightful to walk around. Triple Bridge is one of the main points of interest, which connects the main square of the city to the Old Town and the market. The pedestrian bridge is the most recent addition. It’s a 1931 work of famous architect Jože Plečnik. Another thing to do in Ljubljana which is very budget friendly is admiring the various pieces of street art that scattered around town. 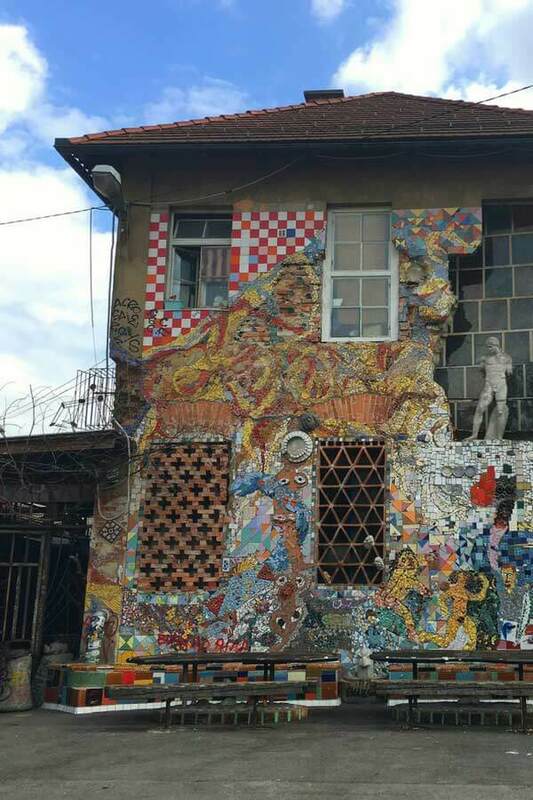 The best place is the Metelkova area. The best view of the city is from the Skyscraper. It is free to go up, and the views from there are just stunning! Yerevan, Armenia is easily one of the cheapest cities in Europe to visit. One can argue whether or not the city is European or Asian but situated in the stunning region of the Caucasus; the city often feels far more European than it does Asian. The best thing about Yerevan is that it has something for every type of traveler, especially those on a budget. When I first went to Yerevan back in 2013, the price tags left me shell-shocked. While things are not affordable to locals, tourists will likely think otherwise. A bed in a hostel is well under $5. Dinner at a delicious restaurant will probably be around $3-4. A drink in a bar will be anywhere from $0.50-$3 depending on where you go and what your choice of drink is. 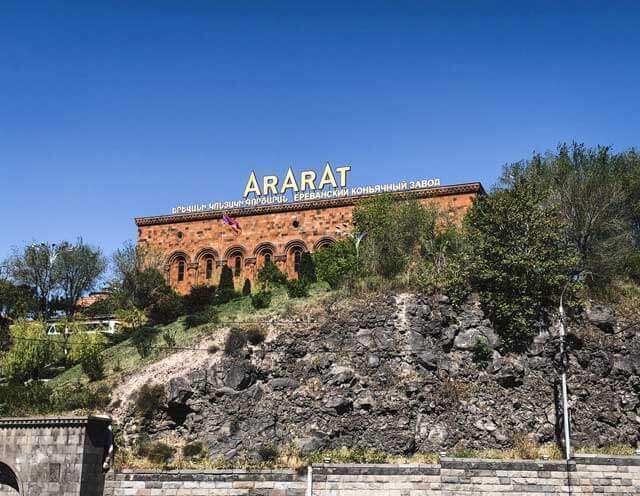 As mentioned before, Armenia is cheap for tourists, but most definitely not to locals. To ensure you spread some of that wealth to the locals, scout out the local bars, restaurants, guesthouses and use and visit them! It is very imperative to support small businesses in Yerevan because there are so many of them offer quality products and high levels of customer service. Nevertheless, Armenia is the perfect stop for those on a budget and wanting to travel through a country with fascinating history, food, and culture. Moreover, Armenia’s capital, Yerevan, will inevitably surprise you in the best of ways not only by its affordability. 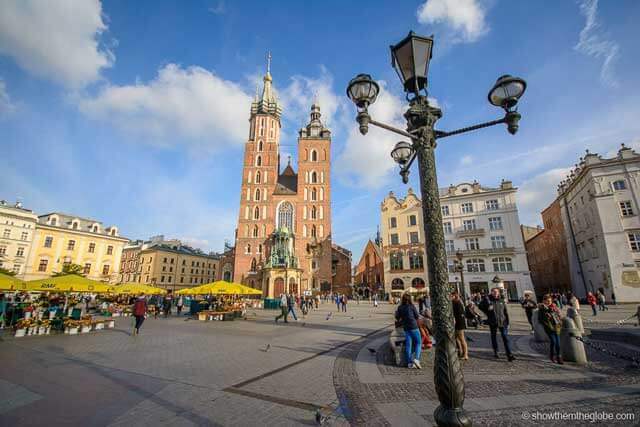 Historic and fun, Krakow is widely regarded as one of the cheapest places to visit in Europe and this beautiful city in southern Poland is packed with things to see and do. The bustling city built around Europe’s largest market square, Rynek Glowny, which is home to historic buildings including St Mary’s Basilica, the 13th Century Gothic Clock Tower, and the medieval Cloth Hall, once the hub of trading in the city and now filled with market stalls selling souvenirs and trinkets. Check out the views from Wawel Castle overlooking the city and stop by the fire-breathing dragon down by the river. Venturing outside of the Old Town make sure to stroll around the old Jewish district of Kazimierz stopping to grab a delicious and inexpensive kebab. Located just across the Bernatka Bridge, Oskar Schindler’s enamel factory is accessible to visitors in a tribute to the man who has saved so many Jewish staff during the Holocaust. Food and drinks in Krakow are both delicious and cheap. Most of our meals for two were less than €20, with a more formal three-course evening meal with drinks coming in at less than €30. We highly recommend taking the time to sit down for a meal at one of the restaurants dotted around the main square, Rynek Główny. The restaurants here are a little more touristic and expensive but worth it for the views of the square and the Old Town atmosphere! There are some great day trips which are easily accessible and inexpensively reached from the city. Three include the massive underground Wieliczka Salt Mines, the devastating former WW2 concentration camp of Auschwitz-Birkenau and Wadowice, the birthplace of Pope John II. Valencia is one of the most pleasant places to live in Spain due to its perfect location on the Mediterranean Coast, the excellent communication with the two major Spanish cities, Barcelona and Madrid, and much cheaper prices that characterize the former cities. To get to know the Mediterranean lifestyle and visit a much less touristic city with a rich architectural and cultural heritage without spending as much as you do in Barcelona, Valencia is your choice of destination. The cost of accommodation and food in Valencia is much lower than in other Spanish cities; you can find a decent hotel from for around 50 € and a daily set meal for 8-10 €. You can get around in the city center by using the Bonometro, a multi-journey ticket that is valid for ten trips and costs 7.55 €. The most important landmarks to visit in Valencia date back to the Gothic period, when this city lived its Golden Century, el Siglo de Oro. The Cathedral, the Lonja Palace or the impressive towers of the medieval city wall are all from this era. Valencia is also an excellent place for those who like large green sites since the old bed of the River Turia transformed into one of the largest urban parks in Europe. The City of Arts and Sciences, one of the most impressive modern science and art museums in Europe. 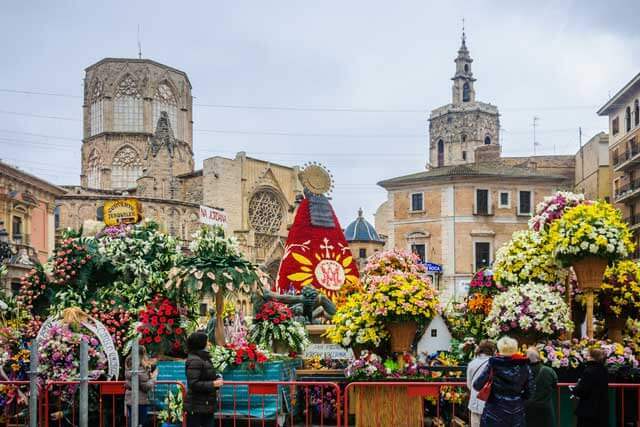 Valencia is also famous for two other things: Paella and Las Fallas Festival. Paella, this famous rice dish originates from this part of Spain, although many don’t know that the original recipe contains vegetables, chicken, and rabbit, not seafood as the most popular version. Las Fallas is probably the most amazing Spanish traditional festivity you get to see at between 15th and 19th March every year, during which spectacular wooden artworks are created and exhibited in different locations of the city center. Belgrade in Serbia became a great holiday destination for any traveler. There is an extensive history to explore, including the Ottoman Period, both World Wars, and the communist Yugoslavia period. You can see the influence from all of these periods in the architecture, and learn more about it in the many museums the city has to offer or on the many walking tours that are available. For science lovers, it is the birthplace of Nikola Tesla. For art lovers, the city is filled with funky art galleries and wall art. The area of Savamala is covered in art murals and hipster bars. If you’re looking to party, Belgrade has a unique offer, yes boat parties! All along the river, some large boats/ferries have been reconstructed into restaurants and bars. For the best parties, expect to start your night very, very late. While part of Europe, Belgrade is not part of the European Union, which means that the currency is the Serbian dinar instead of euros. You can find a slice of pizza for 100 RSD (~€0.85 EUR), or you can eat the locally-dubbed “best cevapi in town” for 440 RSD (~€3.70 EUR) at the restaurant Walters. Belgrade is rich with history and a buzzing art scene. If you want a European destination that is a bit cheaper and not on most “Top 10” lists, then head to Belgrade! The first time people visit Italy, they usually go to Rome, Florence, and Venice. These are amazing cities, but as all of the tourists are there, they are also the most expensive. Most people don’t think of Italy as a budget-friendly European country, but it really can be if you’re willing to explore some of the less touristic but great smaller cities. Bologna is a great city in the Emilia Romagna region in the north. Italians consider this medieval city as one of the most beautiful in Italy, and yet most people bypass it. However, it’s also the home to the world’s oldest university, and today it is a university town with lots of students, which means people who have less money, so there are lots of bargains to be had on the streets. One of the best things to do in Bologna is to eat and drink. Emilia Romagna is an iconic food destination, and Bologna seems to find a way to make food and drink so easy. You can find cheaper eats near the university or eat in the market, then head to the main square where they screen movies on giant screens in the summer. You absolutely must stop at the tourist office in Bologna because there are so many free events. If you’re looking for nightlife there are cheap drinks near the university district, if you’re on a shoestring budget, many university students simply buy alcohol and go to the main square where students hang out and socialize. Don’t worry if you don’t know anyone, people are friendly here, and it’s easy to start a conversation that leads you to a local joint with cheap food and drink. You shouldn’t overlook Plovdiv, Bulgaria if you’re looking for one of the cheapest and most undiscovered cities to visit on your next Europe trip. Plovdiv is one of the European Capitals of Culture, and the city has been doing a lot to improve itself and get ready for an increase in tourism. However, because Bulgaria is one of the cheapest countries in Europe to travel in, you won’t be paying much! The Old Town of Plovdiv is one of the most photogenic old towns of Europe, with unique Bulgarian National Revival architecture that you won’t find anywhere else, painted in vibrant colors with interesting architectural details. Kapana, the funky art district, is the center of hipster revival in Plovdiv and here is where you’ll find countless cafés, bars, restaurants, boutiques, and galleries celebrating Bulgarian culture, food, and drink. What’s best is that you can indeed live the good life for a low price in Plovdiv. An excellent meal at a world-class restaurant with a glass of wine will set you back about 10 leva for the main course (5 euros) and 5 leva for a glass of local Bulgarian wine (2.50 euros). Museums in Plovdiv are quite cheap as well. For example, you can visit one of the best preserved Roman amphitheaters in all of Europe for a little 5 leva, less than 3 euros. Compare that with Italy or even neighboring Greece! If you’re on a budget, you can do an excellent free walking tour that shows you all the highlights of Plovdiv for nothing more than a tip at the end of the trip. 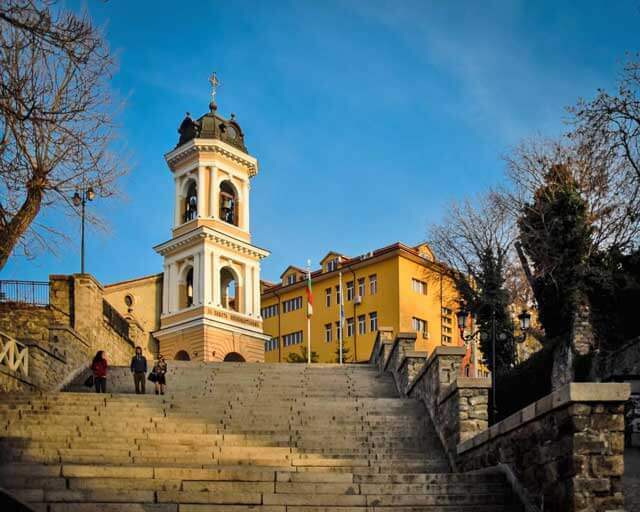 Some other fun free things you can do in Plovdiv include watching the sunset from one of the hills in the city, seeking out street art in Kapana, taking some time to rest and enjoy the Tsar Simeon Garden, and so much more. When people talk about going on holidays in Greece, they are most often talking about Athens and any of the islands like for example Santorini. If you are looking for a bit cheaper holidays without thousands of other tourists, then you should have a look at Thessaloniki. Thessaloniki is Greece’s second largest city and the capital of the region of Macedonia. It’s situated directly at the Thermaic Gulf of the Aegean Sea. The city was the European Youth Capital in 2014 and the European Capital of Culture in 1997. Reason for those titles is the abundance of excellent museums, theatres, and operas, together with an active event life. One of the most awesome of those events is, for example, the Street Art Festival Thessaloniki (SAF) which takes place every year. 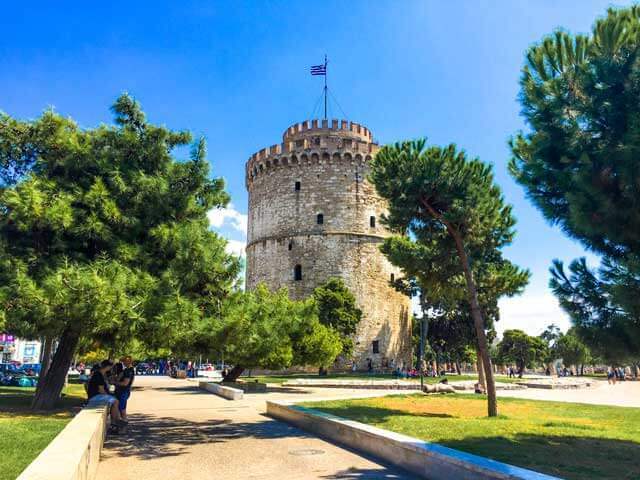 Thessaloniki is a delight for everyone who’s interested in the Greek history, and you can find some huge archaeological structures like the White Tower or the Arch of Galerius and the Rotunda. There is also a vast variety of good cafes and bars to be found in this hip city, and as long as you don’t directly eat and drink along the sea, the prices are meager for food and drinks. There are also a lot of great restaurants with cheap and delicious seafood available. If you look for a refreshment in the hot Greek summer, then you could use Thessaloniki correctly as a base for a day trip to the fun waterpark called Waterland. If you want to swim in the sea, you can take the boat to Perea and enjoy a perfect day at a clean beach. 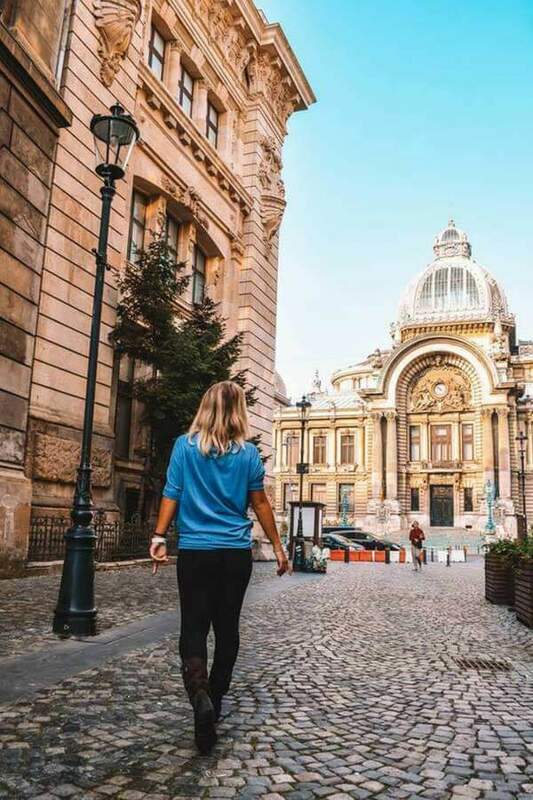 You have to add Bucharest to your travel bucket list if you’re looking for one of the most fun and cheapest cities in Europe to visit. 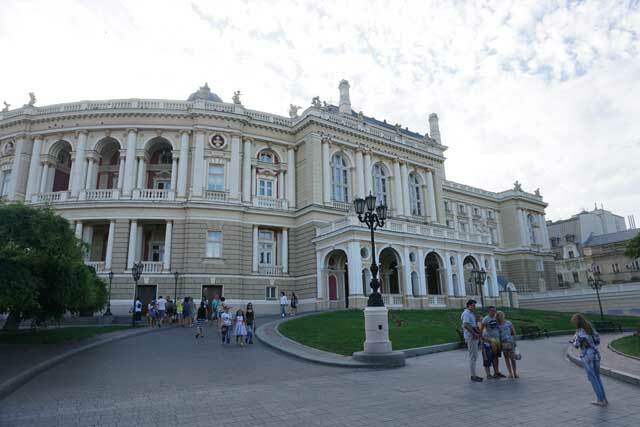 Bucharest is the capital of Romania, a city rich in culture and there are many things to do. Make sure to visit Bucharest for a fun and entertaining trip that won’t break the bank. It’s very easy to get around Bucharest, with all the main tourist attractions located close to the Old Town center. A lot of these main attractions are free or have cheap entry tickets. You can also do free walking tours with Walkabout, which will allow you to see the city without spending any money. To travel outside of the center of Bucharest Uber and other taxi apps are cheap, I got from the Old Town center to the airport (a half hour car journey) for less than 5 EUR. Eating out in Bucharest is also much cheaper compared to other European destinations. I paid less than 10 EUR for a pizza and cocktail in a restaurant in the Old Town. 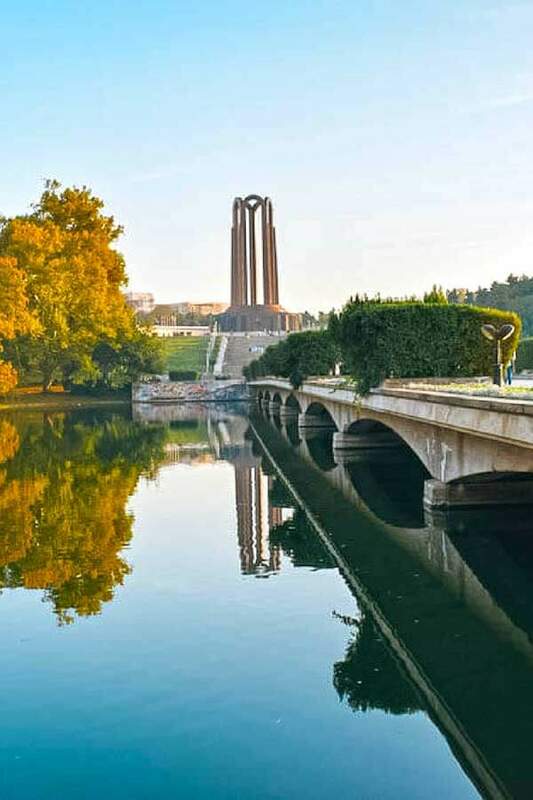 Chisinau, the capital of Moldova in Eastern Europe isn’t the first destination you would think about traveling to, in fact, Moldova is Europe’s least visited country. However, those who visit will be rewarded by a beautiful country and a great capital city. 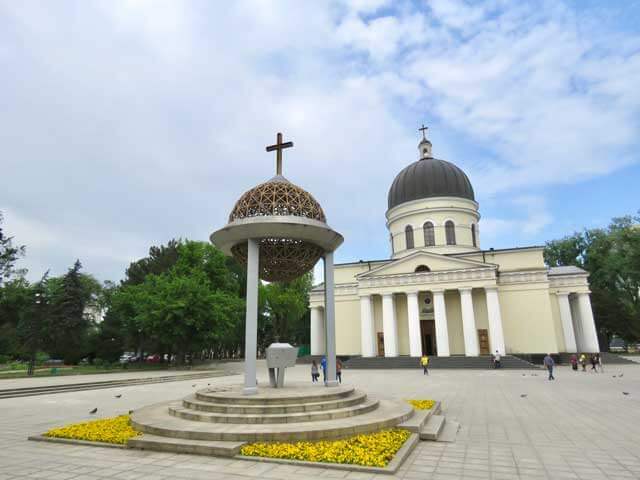 Chisinau isn’t just a cheap destination to visit; it has got a lot to offer to travelers. The city itself awaits you with a beautiful Soviet charm. A large main street, broad enough for impressive military parades, lots of green parks and beautiful orthodox churches. Just outside the city limits, there are several beautiful wineries where you can enjoy some delicious Moldovan wines. Thanks to the incredibly low taxi prices, you don’t have to worry about driving after tasting a few glasses. At nighttime, you can relax and have a couple of drinks in some of the best bars in town for an affordable price. Delicious cocktails in the rooftop bar of the Radisson Hotel, one of the fanciest bars in town can be had for around €6. Saranda is the gateway to Southern Albania via Greece. It’s a harbor town just about 35 minutes from Corfu by boat. Since Tirana is the only international airport in Albania until this date, the most convenient way to get here is via plane to Corfu, and later on by boat. From Saranda, you can quickly travel onward to Ksamil, Butrint, Himara and several other beach destinations along the Albanian Riviera. However, Saranda itself is also a beautiful place to visit, and it’s cheap too. Along the water promenade, you’ll find various bars and restaurants serving delicious food and drinks all day long until late nights. Saranda is quite small, but it has all the amenities needed for a great vacation. It’s also here you can find a wide range of hotels and buses to other parts of the country. 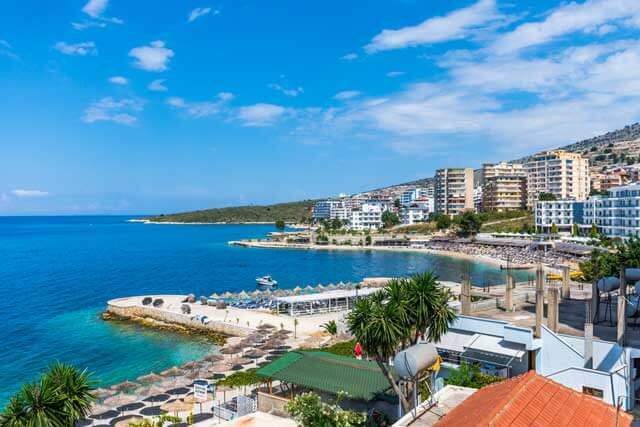 Saranda is the perfect base for exploring Albania. Moreover, I specifically suggest staying at Hotel Piccolino, where you have seaside views from your room. 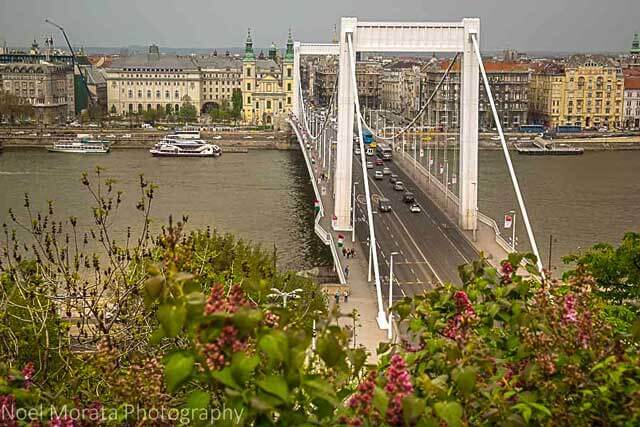 Budapest is definitely a budget-friendly city to visit in Europe. With cheap international and regional carriers flying into the city and inexpensive housing, you can get by on a dime visiting, especially if you plan for deals or travel in the offseason. Many of the attractions are easy to get to with cheap public transportation, and you can do many things for free or inexpensively. Even the must do public baths are affordable if you pay for the regular daily rate. Food is cheap and delicious if you stick to public markets, food stands and even cheap bars that offer fantastic happy hour deals. For more inspiration about visiting Budapest, check out my favorite photo spots to see in Budapest for more details and what to see in the city. Although its reputation as one of Northern Europe’s chaotic business hubs, the small nation of Luxembourg is a hidden gem to the well-trodden traveler. Being served by multiple airlines across the continent and with strong rail connections to other major cities, Luxembourg city is easily accessed on its own or as part of a more extended European trip. The city itself is easily walkable and very compact, offering you some architectural and cultural delights to explore. The Casemates du Bock, an ancient set of tunneled fortifications are a maze to lose yourself in overlooking the old city. After that head up to Chemin de la Corniche, offering the best views of the city and the River Alzette meandering on through. 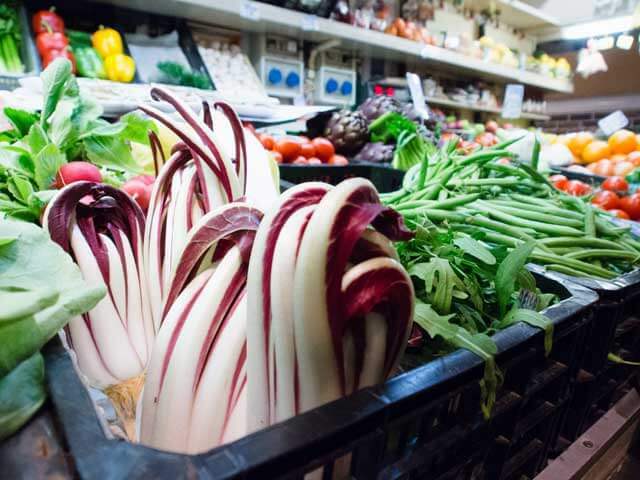 You can find a weekly market on Place Guillaume II, full of an array of produce, blending French, German and Italian origins, ranging from beautiful flowers, delicious salamis, and many others. Once you have exhausted your walking shoes, head up to Steiler on Rue Large to kick back on a cold beer, relax in a deck chair in the piazza and watch the world wander past. It is possible to find some gems both in and outside the Luxembourg city. Hotel Simoncini is an excellent hub for exploring the city and located in the center of the city. It offers cool value rooms starting from only £100 per night with beautiful modern art-focussed decoration. All the fun of the country isn’t just located in the capital. As one of the continent’s smallest states, exploring it by car is well within your realms. Outside in the city, you can explore many things. 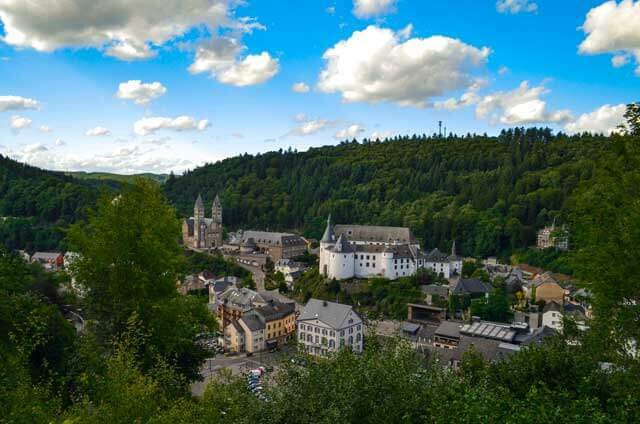 A day road trip will take you to visit the castle of Vianden, the vineyard-laden wine region of Moselle, the forested adventure of Mullerthal. You might like to book Europe tours, attractions, and activities online or check out some of the options below. Click To Save Top Cheapest Cities in Europe On Pinterest Board! Share your favorite budget-friendly European cities to visit. Have you explored any of the listed top cheapest cities in Europe? Disclaimer: The opinions or views expressed in any guest post/collab post featured on this site are those of the guest author, do not necessarily reflect the opinions or views of My Own Way To Travel. Also, all photos used in the post provided by the author and used with permission. Wow, a great list! I’ve visited some of these cities, but it’s clear now that I need to visit more of Eastern Europe. There are so many beautiful and affordable cities there! We were just in Bratislava and it was such a cute place and so walkable! I’m actually headed to Brno tomorrow. 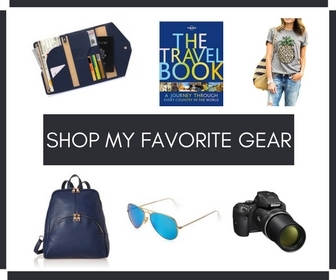 I love this list and will actually keep it as a reference as we travel even more. Have you been to Krakow, Poland? Also very nice and cheap! That is an awesome collection of cities in Europe and pretty cool tips! Didn’t know that there were so many affordable destinations in Europe. Thanks for sharing! Super useful reference post. I’ve had lots of friends ask me about where to go in Europe on a budget. I haven’t been to most of these places so it’s really helpful thank you! Thank you so much, Natasha, for finding it so helpful one! I love visiting Istanbul. One of the best ways to put the city in perspective is by going up to the top of the Galata Tower. It provides a great view of the city and its layout, so that when you’re walking around you have a better idea of where you are and where you want to go. And the nearby Galata Bridge is a fun way to watch the water ballet take place — the boats put on quite a show as they navigate back and forth across the river. Great to know Jay your travel experiences in Istanbul. Thanks for sharing! I love Europe but I find it so expensive, especially because we have a weak currency. So thanks for this great list. I’m going to bookmark it for my next trip to Europe. Wow, I’ve been to Europe X number of times before I live here and I’m quite embarrassed to say I’ve only been to 3 of the cities you’ve mentioned. I need to venture more into east Europe! I’ve heard so many good things about Macedonia and Armenia, most especially! Yes, many of them love to explore Eastern Europe. I have friends from Hungary and Latvia. They tell me all the time that I need to visit those places. Heading to Istanbul in a few weeks! This article has me even more excited. I think Lisbon would be a great add to this list as well! Hey, if you want to share your budget travel experiences on Lisbon email me. I’ll include to this list. There are so many in Wastern Europe that I need to visit still! This is an exceptional list of cities which can be visited without breaking the bank, Nafisa! I’m so lucky I’ve been to most of them, but there are still some I need to cover. Have you got the chance to visit all of them? You’re really so lucky. Dear, I didn’t visit any of them yet! This is such a great list! So many great destinations to visit on a budget. There are still so many that I need to visit. Istanbul is definitely on the top of my list. Yes, Istanbul is the top one for many of them to visit. Superb post! Since Europe can be really expensive, this post is really helpful for budget travelers around the world. I for one will surely be referring to this post for next trip to Europe! I tebd to agree with all of these apart from Berlin and Tenerife, O found these pricey! Athens is very affordable too (although not as cheap as the neighbor Sofia) and Patras from Greece. In general you are right, Europe can be enjoyed with just few euros! Thanks for sharing your personal experiences through this post. Good to know! The general perception is that Europe is an expensive place to travel in. It is true especially if you are talking about the big destinations in countries like Switzerland and France. But you have busted the myth with this exhaustive list of cities that can be visited on a budget. Very interesting collaboration. Yes, those cities truly possible on a budget that has been listed here! A great collection of cost effective destinations. Mostly in east Europe as expected. If I may add one more to this, it would be Lisbon, vibrant beautiful capital city that won’t break the bank. Cheaper than Berlin for sure. Good to know, have you visited Lisbon? Wow! 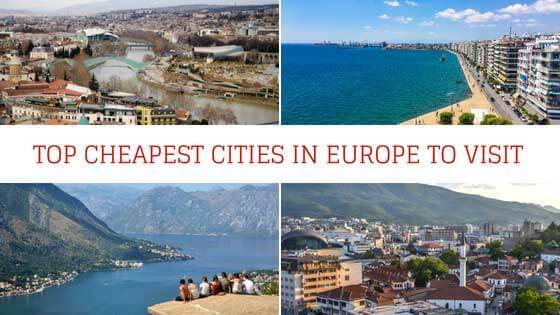 What a great collection of the cheapest cities in Europe! I didn’t know even Europe has great budget destinations. All these cities are simply beautiful and carry unique vibes. I would love to visit all of them, but Istanbul, Kruja and Skopje would be on top of my list. Bosnia is another great addition to this list since it is less touristy on top of being inexpensive.